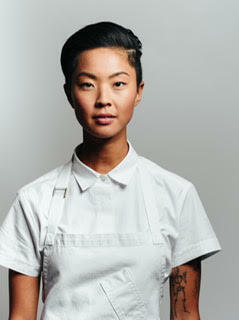 Top Chef winner and newly-minted cookbook author Kristen Kish reveals the powerful lasting influence of being adopted from Korea. As she told host Dana Cowin on Speaking Broadly, when she finally figured out who she was as a person, everything fell into place: her cooking, her drive, her joy. Listen to hear about her struggles with depression, sexuality and more, as well as her ultimate triumph. Also on this episode, Emily Staugaitis of Bandhu Gardens shares stories of learning, growing and building community and meaning with Bangladeshi women gardeners in Detroit. After working together, they now supply restaurants with greens and cater events, changing lives.